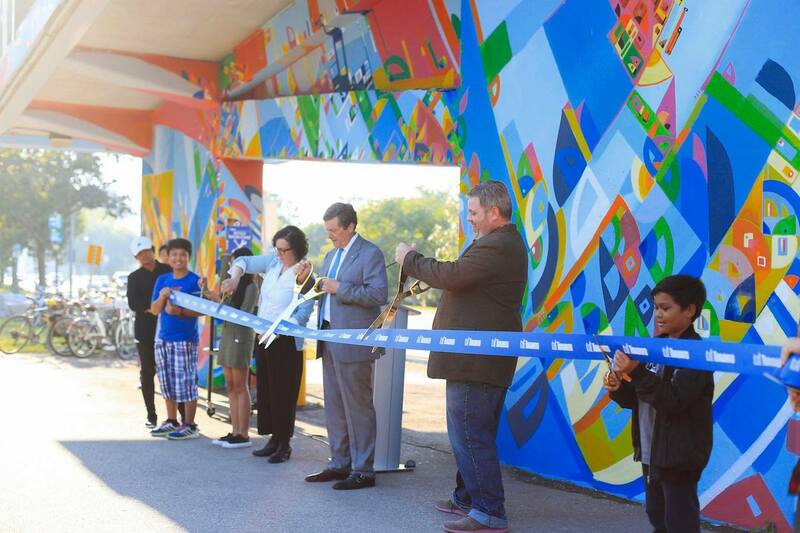 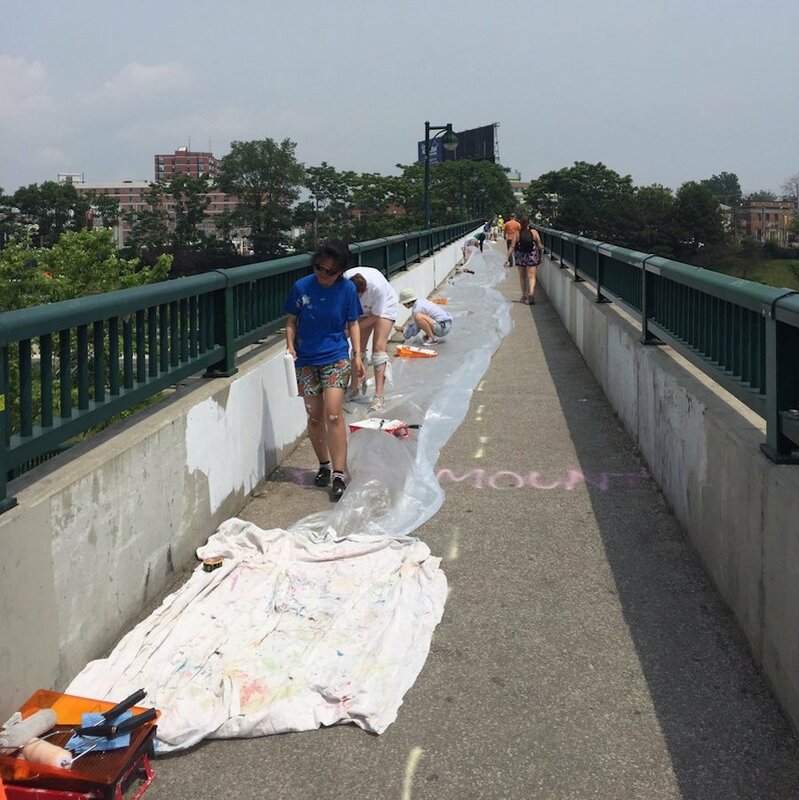 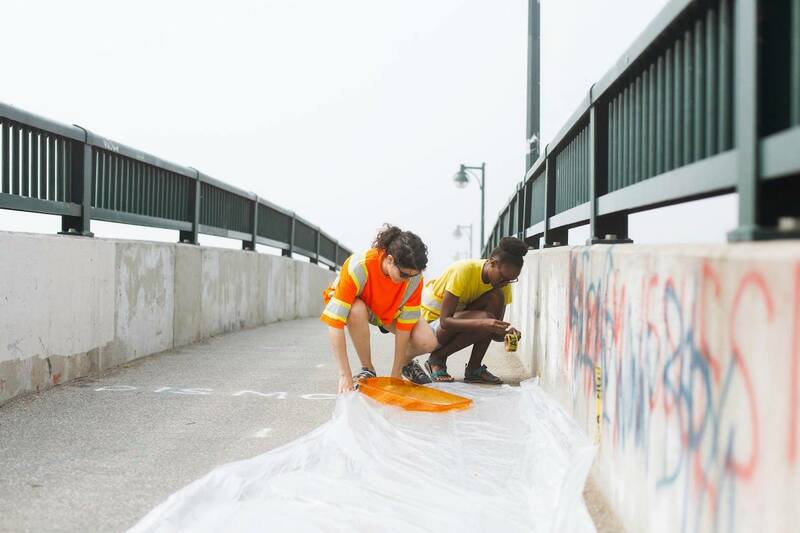 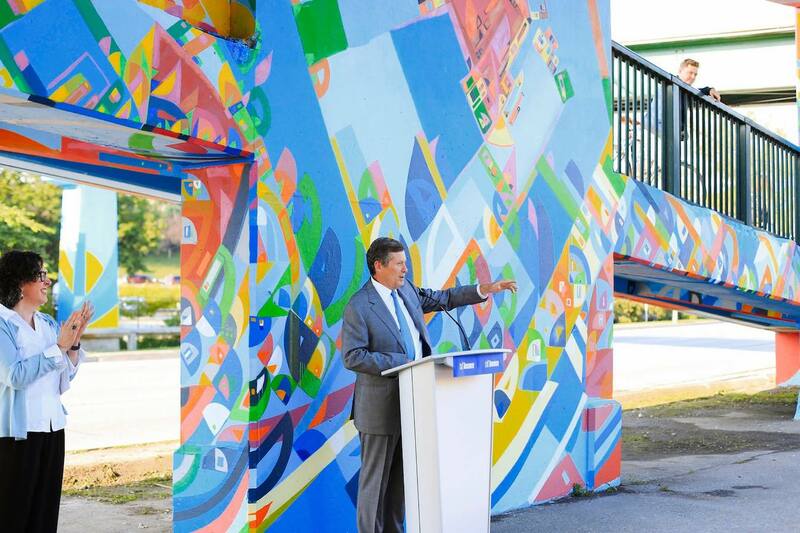 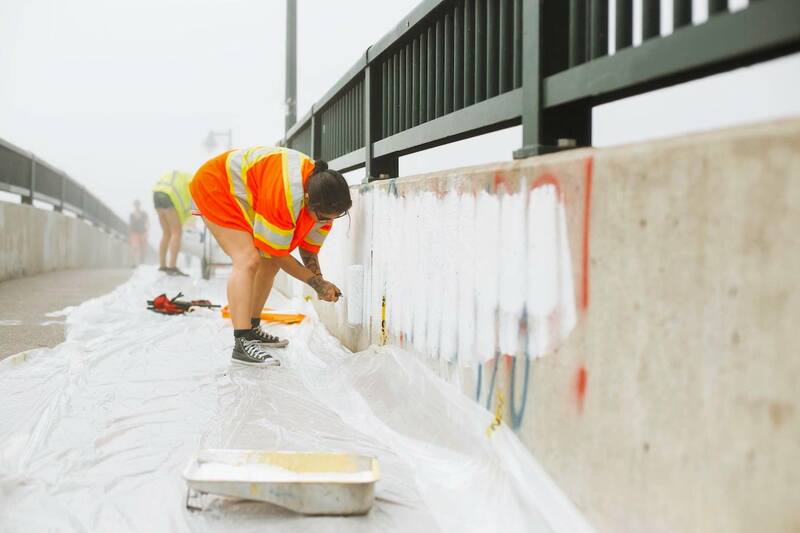 Partnering with the STEPS Initiative, colourful Dulux paint was used to transform this lakeside, pedestrian bridge in the west-end of Toronto into a massive community piece of art, visible to those who use it and those who travel beneath it on the busy expressway, street and train tracks below. 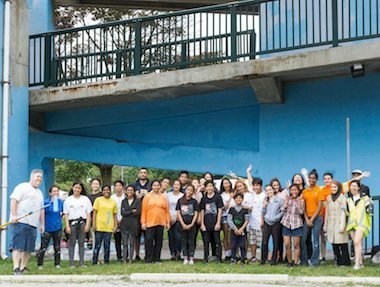 STEPS facilitated the local aspects of an international cultural exchange between the City of Toronto and the City of Chicago that resulted in street art being created in both cities to commemorate Canada’s 150th birthday and the “Year of Public Art” in Chicago. 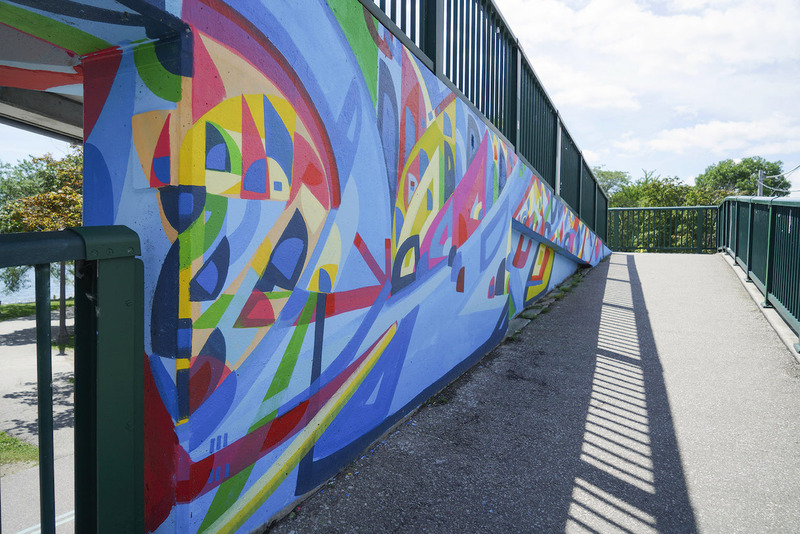 Drawing inspiration from both cities’ connection to the Great Lakes, Chicago-based abstract artist Justus Roe transformed this well-loved pedestrian and cycling thoroughfare which connects west-end communities to the Lake Ontario waterfront. 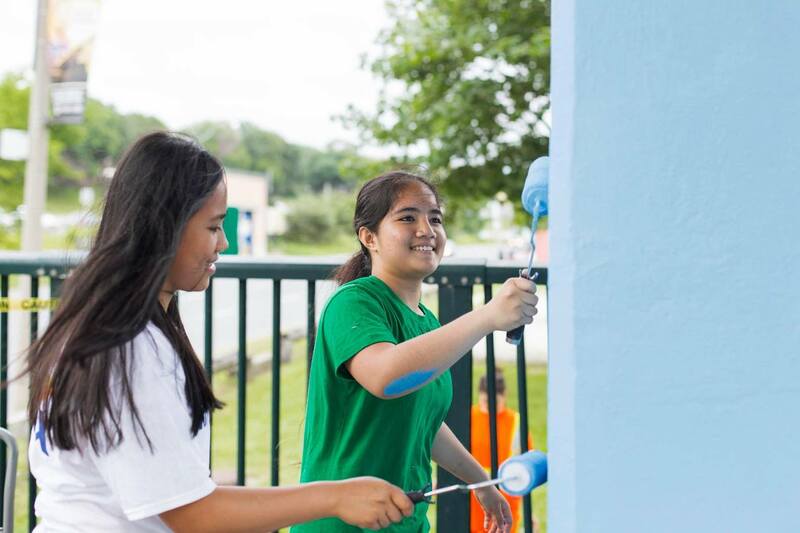 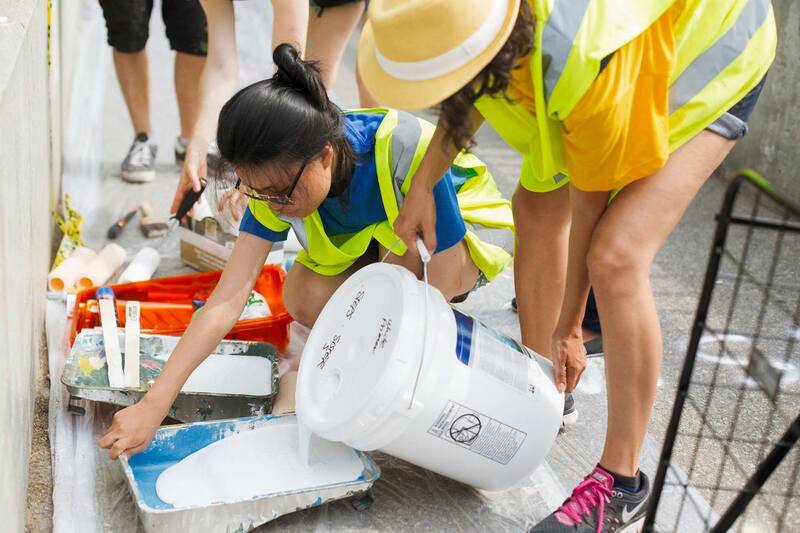 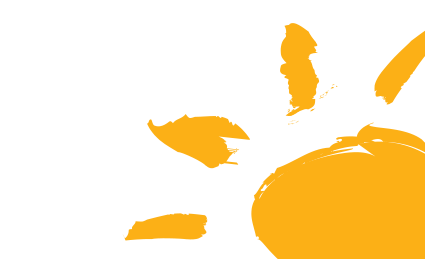 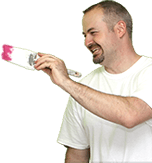 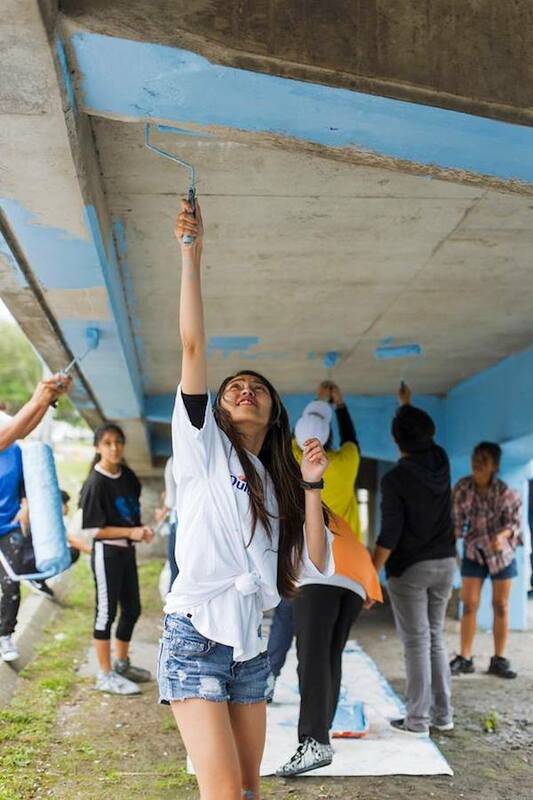 Interested in participating in a local Dulux Paints store painting event, whether as an organization or an individual volunteer? 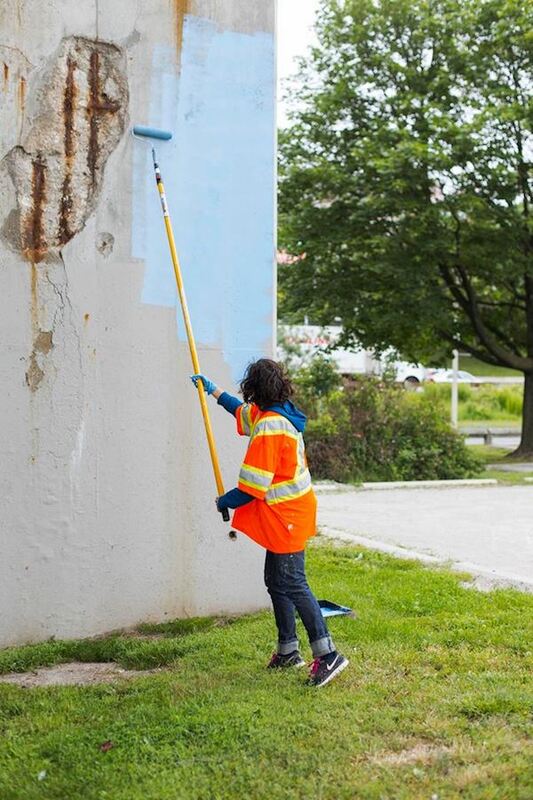 Submit an idea for a colourful refresh in your community. 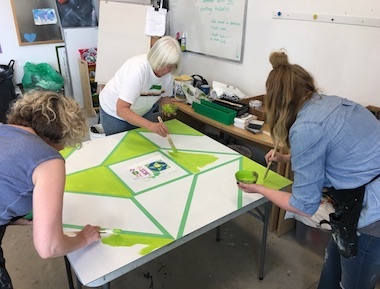 Dulux Paints is helping to celebrate the agricultural and cultural heritage of Simcoe County in southern Ontario with colourfully painted barn quilt squares dotting the countryside. 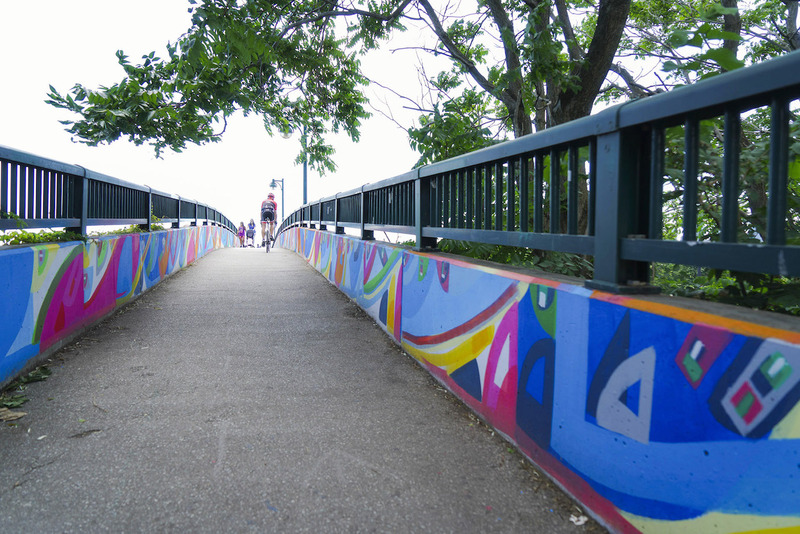 Colourful Dulux paint helped to transform this waterfront pedestrian bridge in west-end Toronto into a piece of community artwork. 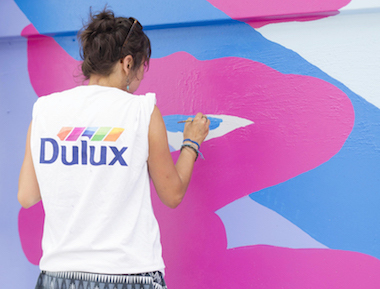 This colourful STEPS Initiative mural in downtown Toronto, inspired by architecture and lives lived, was created with donated Dulux paint. 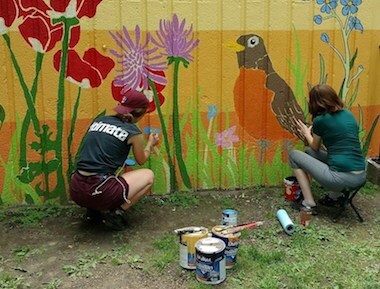 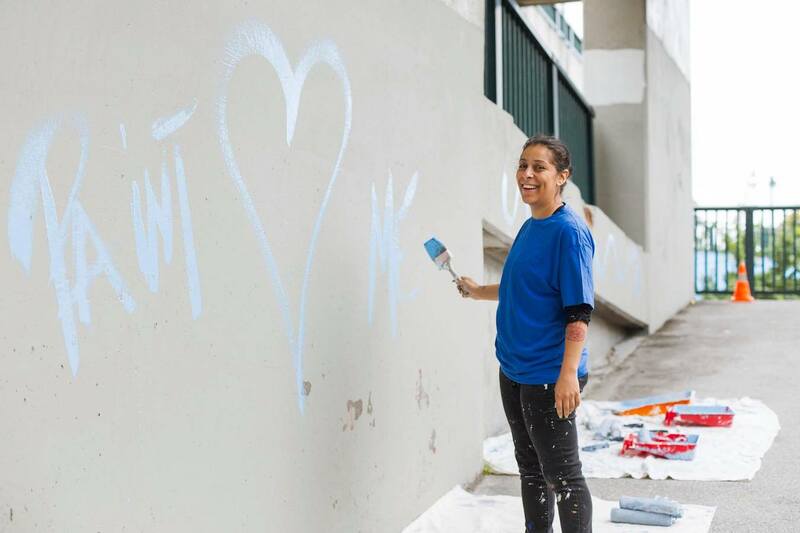 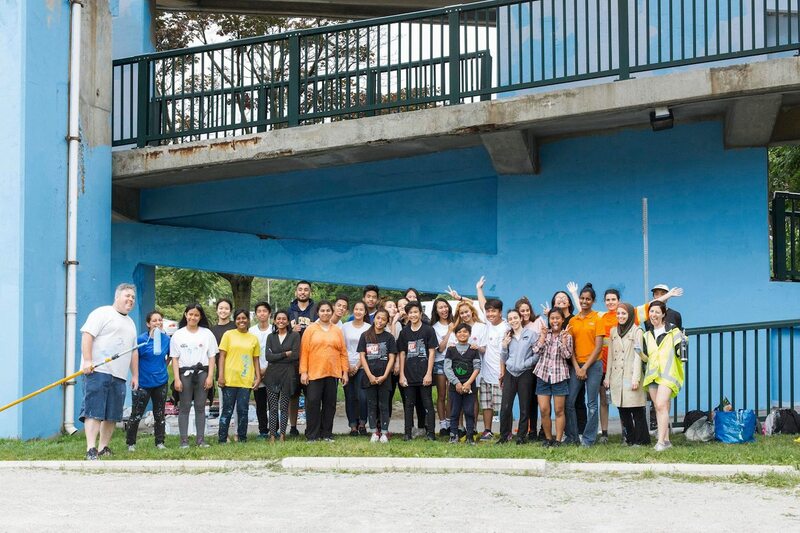 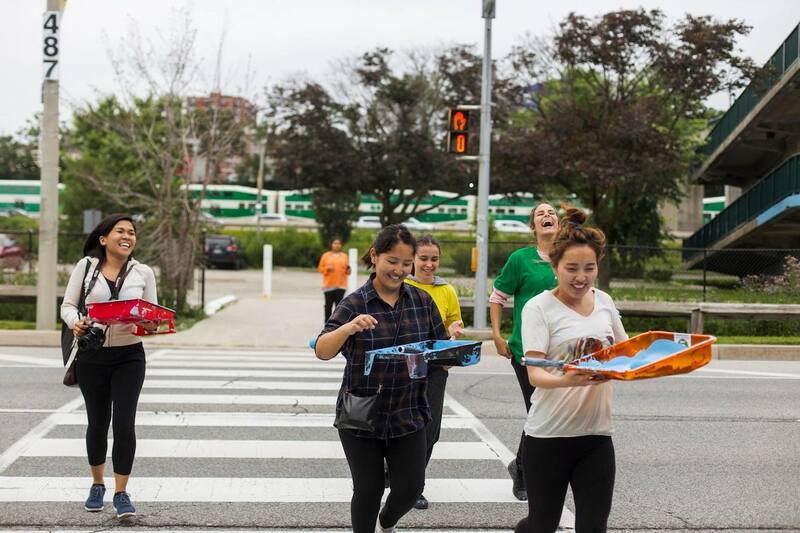 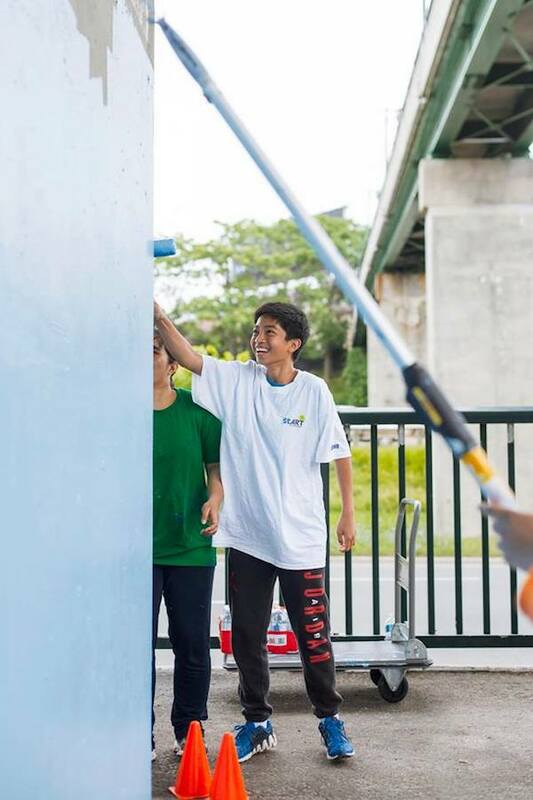 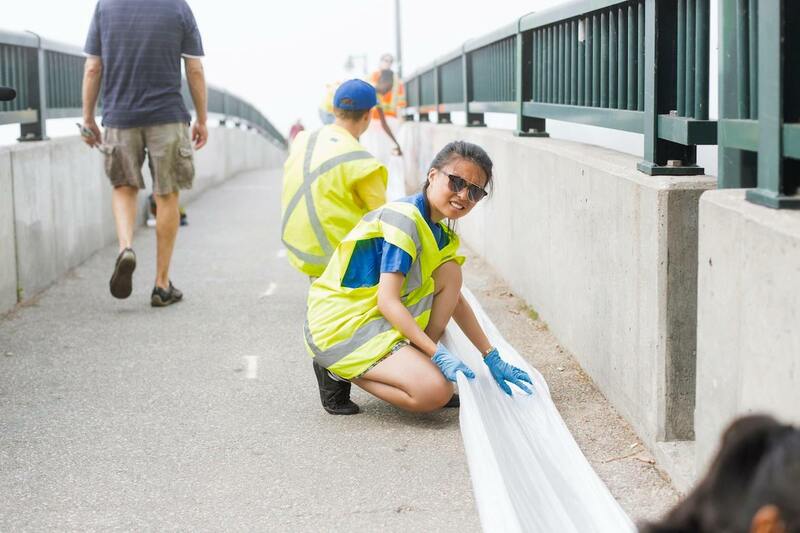 Our local Dulux Paints store supplied paints and services to help beautify four Ottawa, ON neighbourhoods through the Ottawa School of Art’s Canada 150 Project Illunaata celebrating community “all together”. 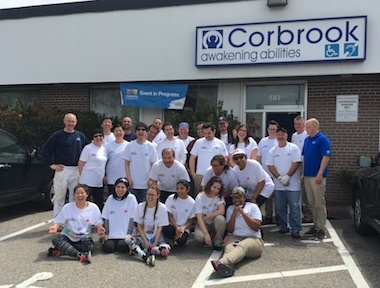 Our local Mississauga, ON Dulux Paints store volunteers helped to add a revitalizing coat of paint to the Corbrook community organization’s west-end Toronto location.